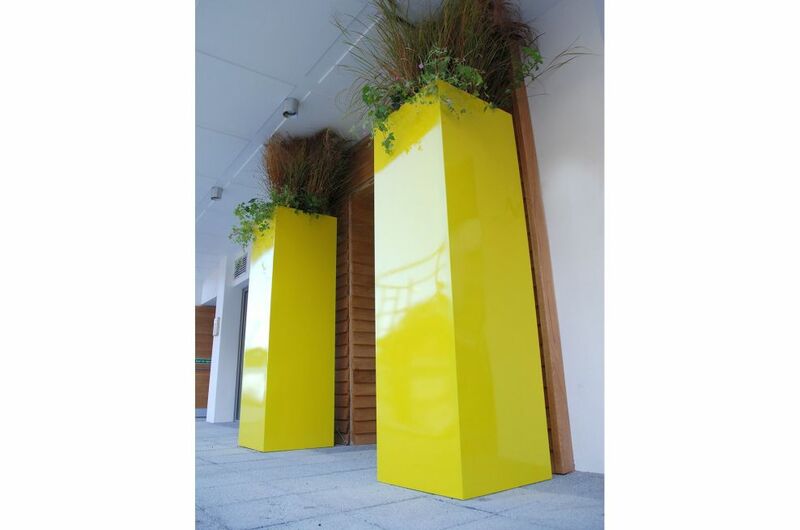 Two large powder coated steel column planters [L 600 x W 600 x H 2000mm] were commissioned for J D Wetherspoon’s newly-refurbished Cribbar pub in Newquay. 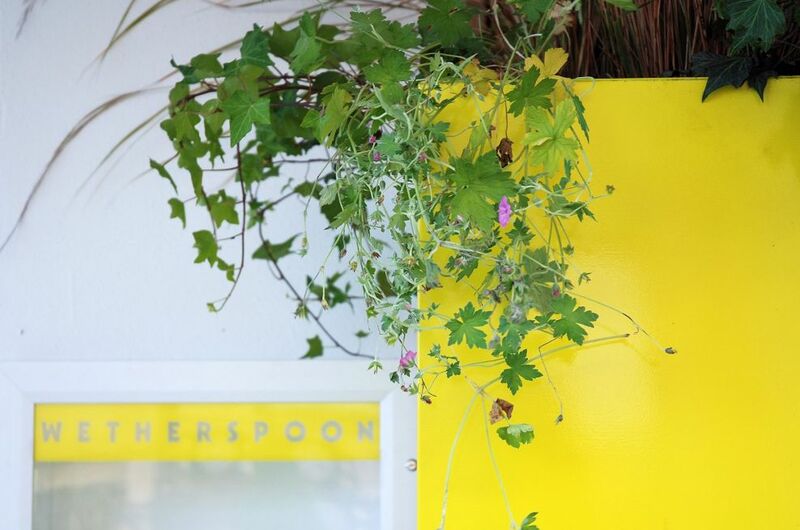 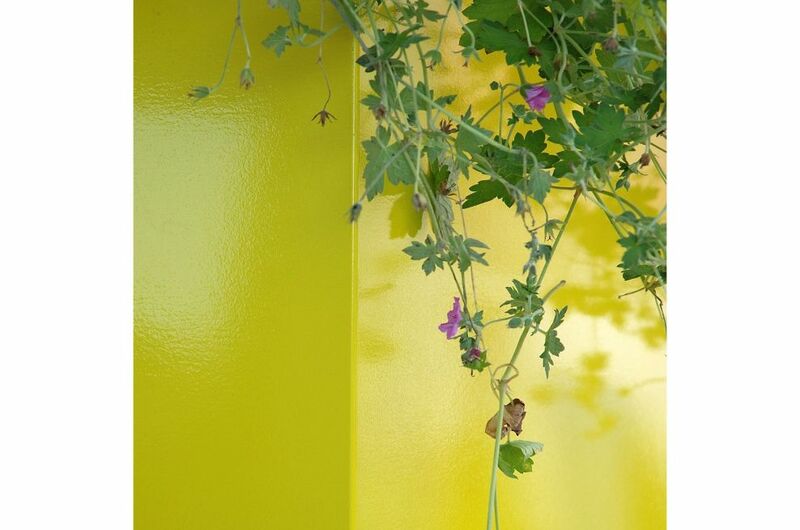 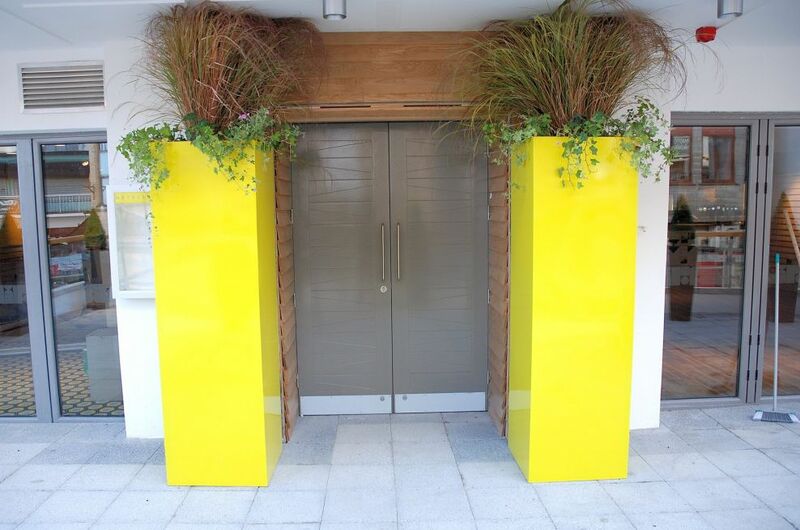 The planters were coated to Pantone 605, gloss finish, to match Wetherspoon’s corporate identity. 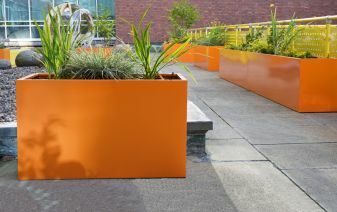 The planters also incorporated a false floor for planting 400mm from the top; and the planters were secured at the base to an inner ‘tray’, which was fastened to the ground with concrete sleeve anchors. 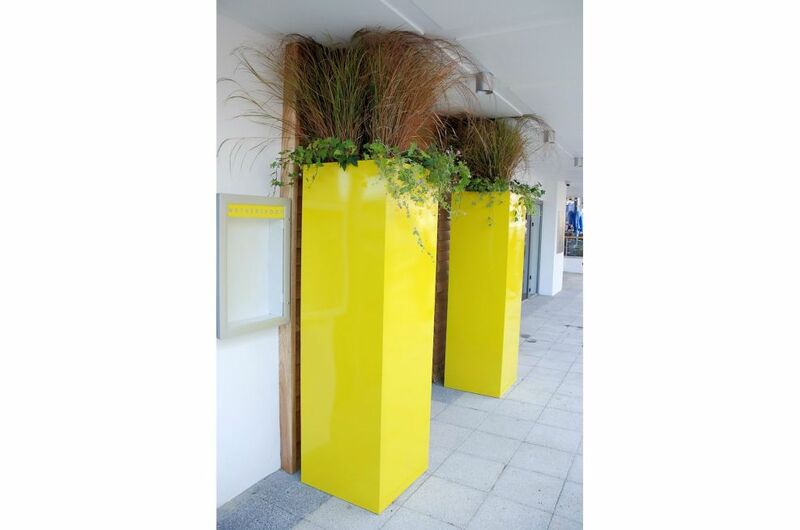 At the request of the client, IOTA provided a full-service solution, including fabrication, installation, plant sourcing and planting.